The different types of XtraBond sealant available can ultimately depend on where the product is needed. For example, the 150 General Purpose Silicone Sealant and the 2500 Co-Polymer are best used for exterior projects like working on a roof, since they can stick to a variety of surfaces and doesn’t need primer. Meanwhile, the 50 Siliconized Acrylic Latex may be a better option for indoor considerations, such as a ceiling. 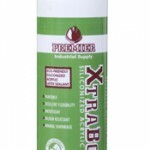 XtraFoam HH – Handheld Adhesive Foam has multi-purpose uses, and can be an asset when looking to insulate specific areas like doors and windows from outside air and water. Electrical panels and pipes also benefit, with the foam expanding just enough to make enough of an impact. 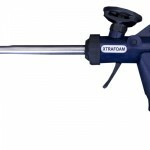 Using XtraFoam Minimal Expanding Foam will also keep out drafts, but this focuses much more closely on the different styles of doors, such as vinyl, wood and aluminum. 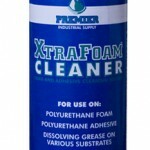 Of course, to use either requires a Foam Gun that controls of the amount of foam, a process that’s followed by using specific cleaner that will dissolve any excess foam. 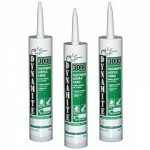 Specific uses can come into play with certain products, which is why Dynamite 3000 Siliconized Acrylic Caulk is available. It doesn’t matter whether it’s exterior or interior, this is for those projects for areas that need to be painted over and are in no danger of shifting, again like a ceiling. For projects where the roof is the focal point, Gardner 830-GA Construction & Roof Sealant possesses enough flexibility to be used for new structures or to maintain existing ones. That’s due to the weatherproofing it offers, and can be adapted to indoor or outdoor areas. 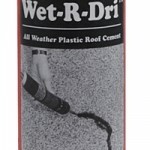 For Gardner Wet-R-Dri 037 All Weather Plastic, it's a product that not only can be used all year long, but is an asset when waterproofing a foundation. OSI GS-121 Gutter & Seam Sealant not only handles gutter areas, but ducts, ventilation joints and any sheet metal work, and also has the ability to expand and contract without cracking. Its cohort, OSI QUAD Advanced Formula Window, Door & Siding, withstands the elements, keeps away dirt and can be painted over. Each of these products are offered by Basic Components, which means that the idea of having to shop around at multiple outlets to find the right sealant or caulk for the right job goes out the window. They’re a company that’s currently in their 30th year of business and who can offer solid advice, so give Basic Components a call today.